We are actively engaged in manufacturing and supplying a superior quality assortment of Discharge Centrifuge Machine. These products are manufactured using high grade factor inputs and advanced technology in compliance with international quality standards. 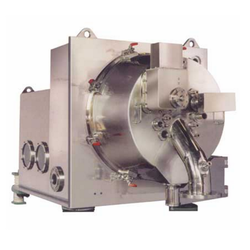 We are renowned organizations of market for presenting the optimum quality range of Industrial Centrifuges. 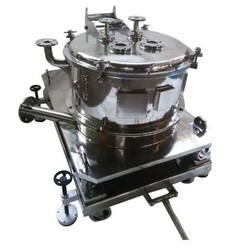 Size : 12" to 60"
We are offering MS GMP Centrifuge to our clients.